Great news from the USA - Something we definitely need here in Australia. There’s a new bill in Congress that’s got our favorite gay parents Mitch and Cam celebrating — and for good reason! 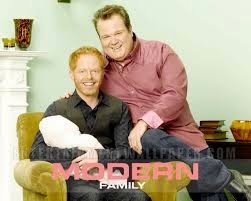 Just last week, the California State Assembly passed the “Modern Family Act,” which if made into law, would streamline the process for gay couples to adopt and start a “modern” family of their own. 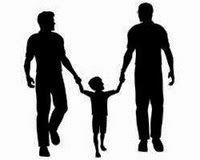 It will also provide greater legal protection for gay parents, and waive common legal fees. And it’s not just gay couples who would be receiving benefits. Straight couples and single parents will also be affected, as the measure covers issues relating to alternative conception methods, such as sperm donation and surrogacy. Bernstein gave birth to their son using an anonymous sperm donor. But in order for Appel to gain legal custody of her child, she had to go through lengthy, complicated and costly measures to adopt him, which included allowing authorities into the family's home multiple times for evaluations.